HealTAC 2019 – save the date! Following the exciting HealTAC 2018, the UK healthcare text analytics network (Healtex) is organising the second conference in the series next April in Cardiff, Wales. Healthcare narratives recorded in documents such as encounter notes, discharge letters, nurse handover notes, imaging/pathology reports, patient-generated data posts in surveys and social media, etc. represent a key communication stream that contains the majority of actionable and contextualised information. Despite them being increasingly available in a digital form, they are yet to be routinely analysed on a large scale. The conference aims to bring the academic, healthcare, industrial and patient communities together to explore the current state of the art and share best practice, key results and common challenges. The first (formal) call for contributions will follow shortly, inviting full and short papers, posters, demos and special sessions. The event will also provide a forum for PhD students and industrial partners to present their work. The conference will be subsidised by Healtex – so please start preparing you contributions! Please feel free to forward to your colleagues and collaborators. The Data Innovation Research Institute (DIRI) is delighted to announce our inaugural Festival of Data Innovation. 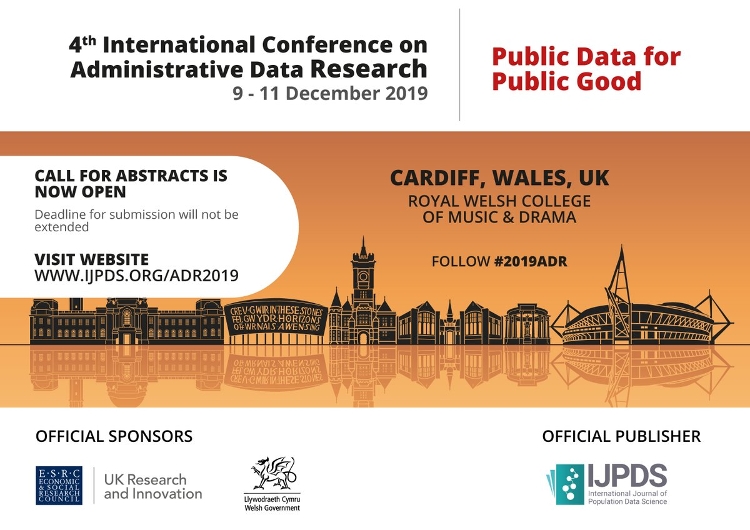 The festival is an opportunity for all interested in data science, AI, analytics and related disciplines, to meet, learn from each other and understand how DIRI supports research, teaching and engagement with industry. NICE 2019: Transforming care celebrates 20 years of NICE’s commitment to innovation, excellence and evidence-based health and care. Bringing frontline staff and leaders from health and care together with the life sciences, healthtech and digital sectors, the event outlines NICE’s essential role supporting the delivery of high quality, fully-integrated, person-centred care. The plenary and parallel programme will explore topics ranging from how human factors affect patient safety, to proving the value of health apps and ensuring that mental and physical healthcare are truly integrated. Healthcare professionals working across all settings, sectors and grades; clinical academics; NHS Research and Development Leads; Senior Service Managers and Commissioners; those based in Health and Social Research Centres and Units; and researchers working in health-related fields from all sectors. 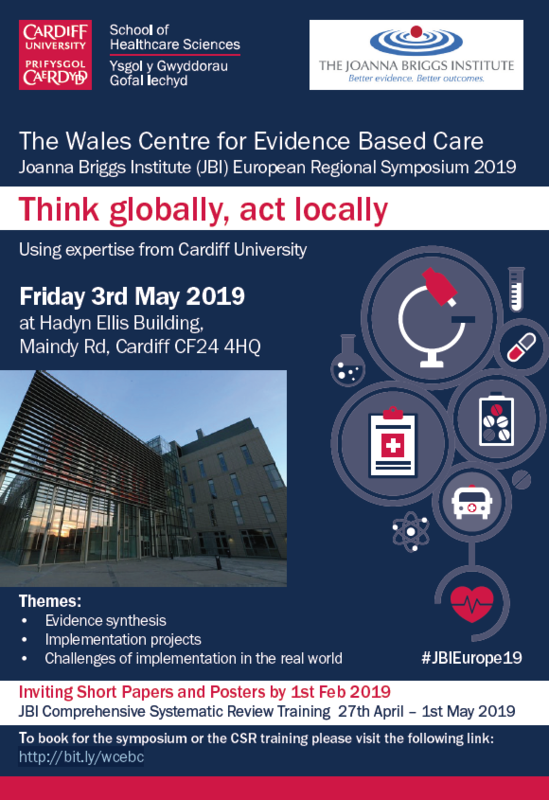 Confirmed speakers include: Mrs Judith Paget (Aneurin Bevan UHB CEO), Mrs Hayley Heard, (Head of Bowel Screening Wales), Ms Consuelo Hartprieto (Aneurin Bevan UHB), Dr David Gillespie (Cardiff University), Mr James Knowles (Swansea University). Free paper abstracts for oral and poster presentations will be invited. PLUS great evenings with Beyond the Border presents on Thursday evening and People Speak Up on Saturday. This timely conference examines the future for the health and social care workforce in Wales, focusing on the workforce strategyand long term workforce planning, including in the context of Brexit. The seminar takes places in light of the Parliamentary Review of Health and Social Care in Wales, and the Welsh Government’sHealthier Wales plan, which includes the setting up of a new Workforce Strategy for Health and Social Care in Wales. As discussion is expected on the impact of the workforce strategy on universities, and the role they will play in delivering the strategy, we thought this might be of interest. There will be a keynote address from Julie Rogers, Deputy Chief Executive, HEIW. The strategy is expected to focus on joint regional workforce planning, expanding generalist skills and modelling for future needs, as well as on making staff feel valued with measures including career support, multi-professional learning opportunities and further provisions aimed at enabling staff to deliver the best care possible. Note: fees apply for most delegates, but concessionary and complimentary places are available. Supported by Andrew Goodall, Chief Executive of NHS Wales, we are delighted to announce the date for MediWales Connects 2019! Please register your interest by contacting connects-nhs@mediwales.com. Head over to the website to view last years programme and sponsorship packages here. Don't forget - NHS and MediWales member discounts will be available so keep your eyes out for more information coming soon! Primary Care: Arriving? Or departing? Early bird registration until Friday 3rd May 2019. 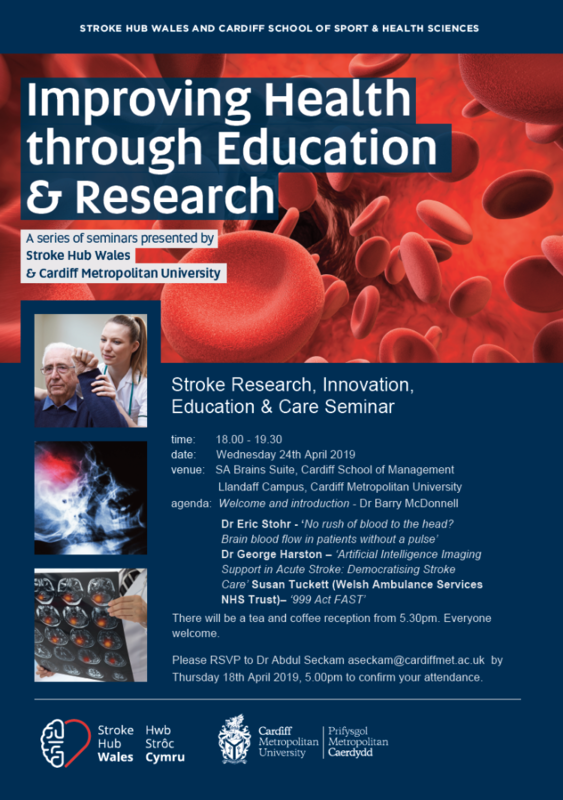 We encourage healthcare professionals from all disciplines connected with stroke care in Wales and further afield in England, Scotland and abroad to attend. This includes the doctors, nurses and all allied health professionals of all grades to attend and benefit from the excellent programme developed this year. The audience is always highly motivated to learn about recent advances in stroke research, new developments in service delivery and to see the excellent range of scientific posters exhibited. Please remember to book your place by the 3rd June in order to receive the EARLY BIRD rate. Please note that online registration will close at 23:59 on 26th June.